Cheap wedding reception ideas that will save you a fortune are when you can find your dream location for a fraction of the normal price and there are lots of ways to find your cheap wedding venue. In the Daily Mail recently they reported a story of a couple who managed to win their dream wedding reception on Ebay, for the grand price of £51.00! That was total cost, not per person! Not everyone will get that kind of deal, this was being in the right place at the right time, but you never know... So the first place you should look for your cheap wedding venue is Ebay. One way that venues will provide cheap wedding receptions is if they have received a cancellation, which means that the dates that will be available will have short lead times, in other words the dates will be in the next couple of months. A less obvious way of finding out about cancellations is on wedding forums, brides chat and discuss everything about weddings and could be looking for a way to get some of their deposit back by letting someone else have the date they booked. Make sure you check all of the small print and check with the venue that they are happy for someone else to take the date before you part with any of your cash. This is also a great way to pick wedding decorations and even dresses! Craigslist and Gumtree are also great places for finding wedding bargains, everything is listed by location and therefore easy to see if there is anything available in your area. The most obvious but often overlooked way to find cheap wedding reception ideas is to ask at the wedding venues, again you will get a better deal if you want to book and hold your wedding in the next couple of months. 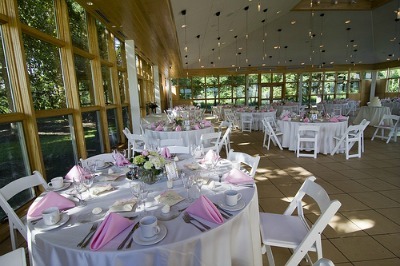 All venues have budgets to meet and will be open to negotiation if they haven't filled their dates with not long to go. Once a date has passed they cannot sell it, so they need to fill as many dates as possible. If you can't get money off you will be able to get extras thrown in. To be in the best position to ask for the best deal, have all of your money together and be ready to pay your deposit that day and even the full amount. As with everything the sales staff will be more flexible if they like you, so put your charm to work!